Mono F3, formerly Mono 2000, is the flagship class for the latest 2000cc cars allowed in Monoposto. Typically Formula 3 cars from 1997 to 2007, typically Dallara or Lola, with either standard production engines or restricted Formula 3 engines. For the majority of the last ten years the F3/2000 class has been the 'blue riband' class in Monoposto. 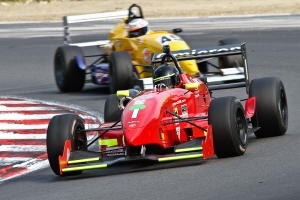 The class can claim one of the premier positions in the UK club single seater scene. These cars provide slicks and wings racing with the economy and reliability of a production 2000cc, 16v engine, in a state of tune that would be familiar to those driving the majority of road going Caterhams and Westfields that use similar engines. Mono FR2000 has been merged into the Mono F3 class for 2019. These cars are Tatuus chassis used in Formula Renault from 2000 to 2010 in a standard configuration. 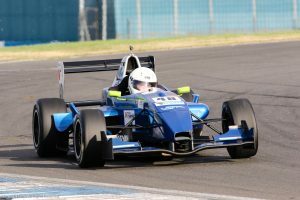 Tatuus built over 750 examples of this car which has been used in Formula Renault championships all over Europe and beyond, proving themselves to be a strong and reliable car. Many of these cars are lying dormant, and could be a cost effective route into an advanced carbon fibre racing car.